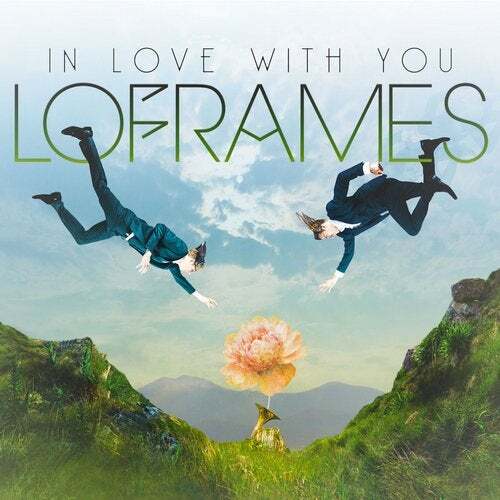 Following on from the success of their debut single Loframes (London born artist James Yuill and French producer Franck Russo) return with a cover of the classic French House track 'In Love With You' by Paradise (Alan Braxe). One of the duo's favourite tracks, the cover has already received the enthusiastic blessing of Mr Braxe and comes complete with remixes from Parisian producer Monsieur Adi, Brighton's Aashton and Belgian new-comers Shut Yo Waffle. With remix credits for the likes of Lana Del Rey and Bastille, Monsieur Adi is one of France's most exciting and in-demand producers and his remix of 'ILWY' shows just why, lowering the tempo whilst raising the funk to turn in an irresistible remix. Having remixed Loframes debut, Brighton's Aashton returns with another of his trademark club tools, perfect for when you just want to lock the dancefloor in and take them deep into the mix. Finally Belgian brother's Shut Yo Waffle make their debut with a sensational remix, that pits bruising bass line up against rough and ready beats for a mix that's as tasty and more-ish as their namesake snack. Expect to hear a lot more form them over the coming months.